Hi guys, welcome aboard this journey called The Patuo 360. I’m the architect Danilo Guzman and today we are already inside Avignon City. This is a city fully of inspiration which is a city of World Heritage. It Is here where Napoleon used to live and also Pierre Boulle, the writer of The Planet of the Apes. We will go through the city from the actual civic center and walk by vaulted passages that cross its blocks, and we will finish in front of the Papa’s castle. Make sure to look down to see how the foundation of the castle is joined to the big rock. Also, look up and see how a street is covered with colorful umbrellas. Actually, look around because this is a 360-degree experience. I want to say Hi to Darril Tylson. Now for the rest of you, thanks for watching this video. If you like it give me a like and subscribed to my channel in Veer VR, YouTube and Samsung VR. Also, you can follow me in Instagram, Facebook and Twitter. Now I’m going to say good bye without before asking something to you. Do you know what the song of a swallow or sparrow is? I want to invite you to download the application called Aves de Chile AR. It is an application of audio in augmented reality of songs of birds of Chile. The download link of application and of the imagens of the birds are on the video description. I’m Danilo Guzman, cofounder of Virtualizar, experts in augmented reality and virtual reality. See you soon guys. 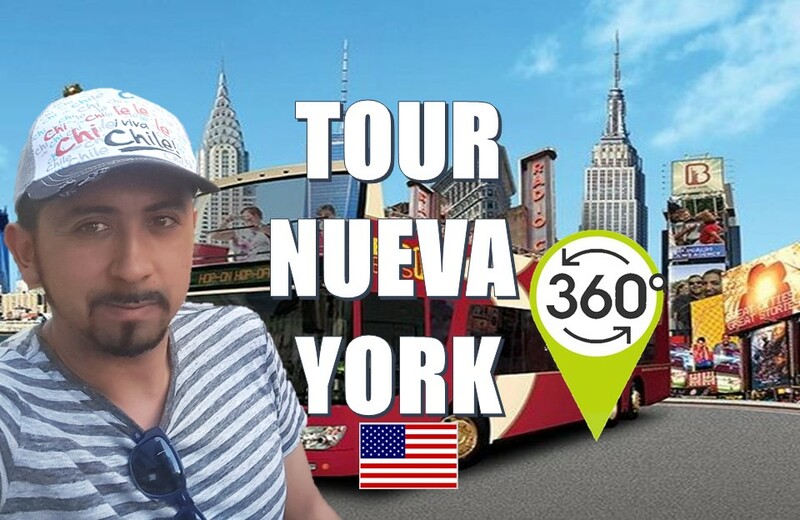 Hola amigos, sean todos bienvenidos a este viaje llamado The Patuo 360. Soy el Arquitecto Danilo Guzman y Hoy ya nos encontramos dentro de la ciudad de Aviñón. Una ciudad llena de inspiración la cual es patrimonio de la humanidad. Aquí vivió Napoleón y también Pierre Boulle el escritor del Planeta de los Simios. Recorreremos la ciudad desde su actual centro cívico caminando por sus pasajes embovedados que atraviesan las manzanas, para terminar frente al castillo de los papas. Asegúrate de mirar hacia abajo y ver como los cimientos del castillo están unidos a la gran roca, Además mira en lo alto como esta ciudad inspiro a toda una calle para llenarla de color cubriéndola con fascinantes sombrillas. La verdad, mira a tu alrededor porque esto es en 360. Quisiera mandar un saludo a Marcos Augusto. Ahora a ti, gracias por ver este video, si te gusto dale me gusta y suscríbete a mi canal en Veer VR, YouTube y SamsungVR. También puedes seguirme en Instagram, Facebook y Twitter. Ahora me despido sin antes hacerte una pregunta. ¿Sabes cómo es el canto de una golondrina o el de un gorrión? Quisiera invitarte a descargar la aplicación Aves de Chile AR. Es una aplicación de audio en realidad aumentada del canto de las aves de Chile. El link de descarga de la aplicación y de las imágenes de las aves está en la descripción del video. Caminaremos por el puente de Aviñón sobre el rio Ródano, más bien por lo que queda de puente ya que hoy en día no logra cruzar hasta el otro lado del rio. llegaremos a los gigantescos muros de piedra que rodean la ciudad. los cuales tienen más de 700 años, e intentaremos caminar sobre ellos para vigilar la ciudad como si fuéramos un guardia medieval. Mira a tu alrededor porque esto es en 360. En este mes del terror te quiero invitar a descargar Horror VR, es un juego de realidad virtual para mayores de 14 años. Explora un antiguo orfanato descifrando lo sucedido en Horror VR. Quisiera mandar un saludo a Antomnela soto. Ahora a ti gracias por ver este video, si te gusto dale me gusta, y suscríbete a mi canal en Veer VR, YouTube y Samsung vr. También puedes seguirme en Facebook, Gmas, Instagram y Twitter. Soy Danilo Guzman cofundador de virtualizar, expertos en realidad aumentada y realidad virtual. Hi guys. I’m the architect Danilo Guzman. Welcome aboard The Patuo 360 journey. Today we continue our travels around the island of Mykonos. At the moment Mykonos is not well known for beaches of soft sand, rather for its rocky coasts. But the few beaches that they have are oases of paradise. We’re going to pass through one of the most exclusive beaches on Mykonos, ending up at the sunset party. Look around you, because this a 360 degree experience. Maybe you’ll be able to see Leonardo di Caprio and Paris Hilton: both of them are on this beach! I want to send best wishes to Korey Armstrong. As for you, thank for watching this video; if you like it, give me a like and subscribe to my channel in YouTube, Veer vr and Samsung vr. Also you can follow me on Instagram, Facebook and twitter. Remember to use virtual reality glasses to get a real immersive experience with The Patuo 360. Now I’m saying good bye, I’m Danilo Guzman cofounder of Virtualizar, expert in augmented reality and virtual reality, see you soon guys. Face the most terrifying paranormal events that happen to a little family from England in this virtual reality application. We recommend you use vr glasses, earphone and joystick. Download it right now, and prepare to get scared with Fear Nightmare. The download link is on the video description. 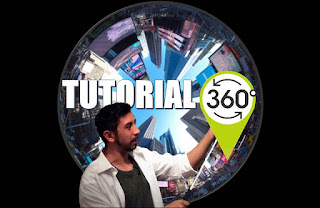 Hola amigos, soy el arquitecto Danilo Guzman y te doy la bienvenida a este viaje llamado The Patuo 360. Hoy continuaremos en la isla de Mykonos. La verdad es que Mykonos no se caracteriza por tener un borde de playas de arenas suaves, más bien sus bordes son rocosos, pero las pocas playas que tiene son paradisiaca y privadas. Atravesaremos una de las playas mas exclusivas de Mykonos, para terminar en la fiesta del atardecer. 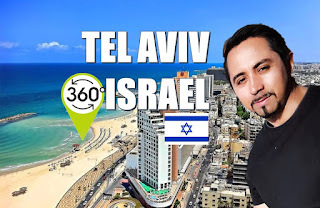 Mira a tu alrededor por que esto es en 360, quizás logres ver a Leonardo di Caprio y a París Hilton que están en esta playa. Quisiera mandar un saludo a un suscriptor llamado Sonido Vago el gigante de Pensilvania, ahora a ti, gracias por ver este video, si te gusto dale me gusta y suscríbete a mi canal en youtube, veer.tv y samsungvr. También puedes seguirme en Instagram Facebook y twiter. Recuerda usar lentes de realidad virtual para poder vivir una verdadera experiencia inmersiva con the patuo 360. Ahora me despido Soy Danilo Guzman cofundador de Virtualizar, expertos en realidad aumentada y realidad virtual. Enfrenta los más aterrorizantes sucesos paranormales que suceden en una pequeña familia de Inglaterra en esta aplicación de realidad virtual. Recomendamos el uso de lentes vr, audífonos y joystick. Descárgala ya y llévate un susto con Fear Nightmare. Welcome everyone to this journey with the Patuo 360. Today we are going to visit the island of Mykonos one of the most visited tourist destinations in the Aegean Sea. We go through the city and reach the neighbourhood called Little Venice ,and we are going to finish in front of its well known windmills. Don’t forget to look up and see the way the balconies connect to each other. And also look down abd its fabulous stone pavement. Make sure you look around because this is a 360 degree experience. How we realized, Mikonos is a city where we can find orthodox church and catholic church. They are helpfully at the moment to guide self in this labyrinthine city. Now I'm going to say goodbye without first sending greetings to Aki Inoue and Mauricio Cabrera. I’m the architect Danilo Guzman and until the next 360 degrees journey. See you soon guys. Is a Virtual Reality application where you can have an immersive experience in mining work. In this application your eyes are in control. Download it right now and enjoy this simulation among the gigantic mining trucks. The download link is on the video description. 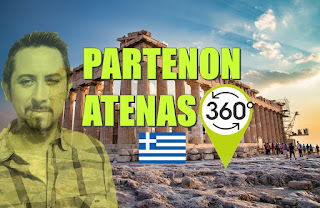 Sean todos bienvenidos a este viaje llamado The Patuo 360, Hoy visitaremos Mikonos, La isla más turística del mar egeo, atravesaremos la ciudad para llegar al barrio llamado la pequeña Venecia y terminaremos frente a sus destacados molinos. No te olvides de mirar hacia arriba y ver como los balcones de cada casa se unen en lo alto. 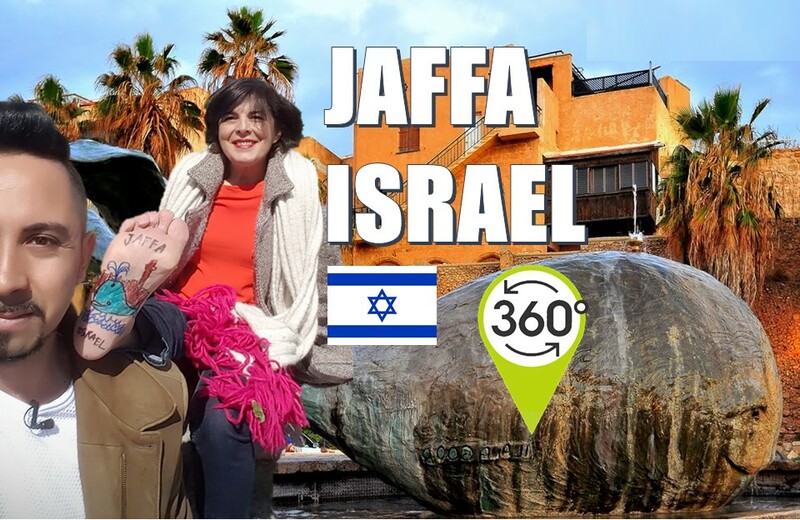 Tampoco dejes de mirar hacia abajo sus fabulosos pavimentos de piedra, bueno la verdad es que mira a tu alrededor porque esto es en 360. Como pudimos ver mikonos es una ciudad donde podemos encontrar iglesias ortodoxas y católicas, que son de gran ayuda al momento de querer orientarse en esta laberíntica ciudad. Ahora me despido sin antes mandar un saludo a Aki Inoue y a Mauricio Cabrera. 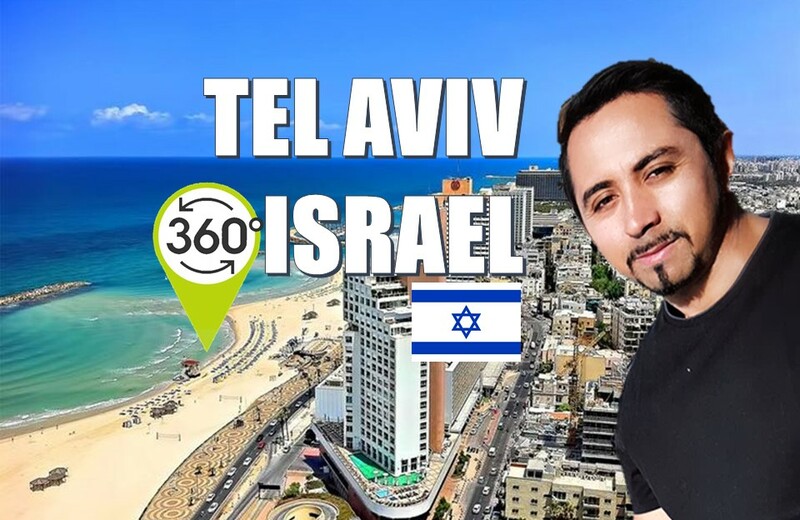 Soy el arquitecto Danilo Guzman y nos vemos en el próximo viaje 360. chao amigos. Es una aplicación de Realidad Virtual donde podrás vivir una experiencia en plena faena minera. en esta aplicación tu mirada es el control. Descárgala ya y disfruta de este simulador entre los gigantescos camiones mineros. El link de descarga está en la descripción del video. Hi guys, welcome aboard on this journey called the Patuo 360. Today we move on to the Santorini island, but this time we going to visit the windmills of the Oia city. Look around, because we’re in a 360 degree. According to the researchers, here is where the Atlantis city is thought to be located. Today already submerged in the sea, destroyed by the explosion of the volcano 3,500 years ago. Greek mythology says that the eruption was provoked by Neptune in a battle against the Goddess Athena. This is the Sant George’s Orthodox Church, located at the end of the main street. Which is particular because it has a spacious and orthogonal atrium very different from the labyrinthine and narrow passages of the Oia city. In ancient times, this island had problems of drought and difficulty for agriculture in volcanic earth. So, the Oia’s people had to self-supply, that is why they ground different species, mainly the wheat in these old windmills. I want to say thanks to wendelyn cortes and jose zuniga, both of whom subscribed this week. 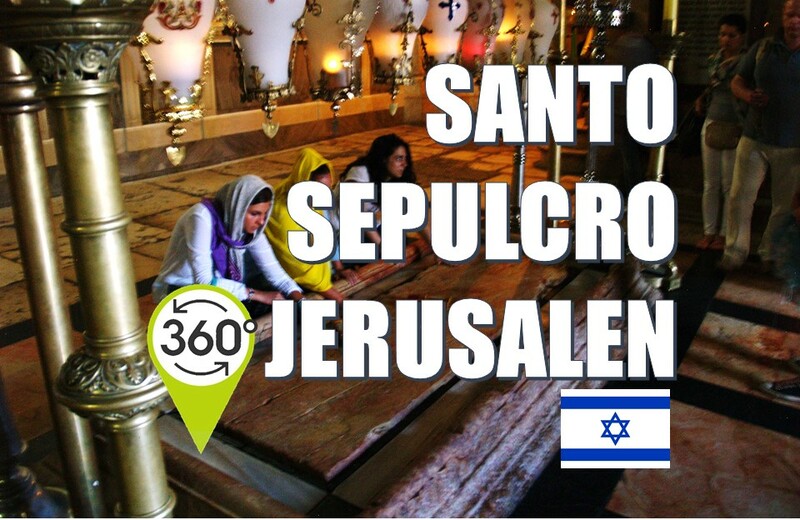 And as for you, if you like this video, give it a “like” and subscribe to the patuo, your 360 degree travel channel. Until the next island; see you soon guys. Virtualizar science, is an augmented reality application and also is a virtual reality application, focus to science and technology. Virtualizar science, download it right now and explore it the science in A.R. and V.R. 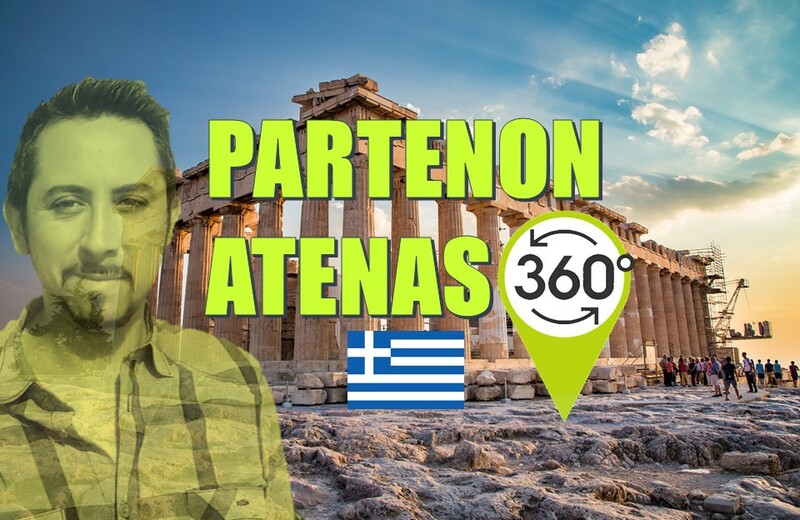 Hola amigos, sean todos bienvenidos a este viaje llamado the patuo 360. Hoy continuaremos en la isla de Santorini. Pero esta vez visitaremos los molinos de la ciudad de oia. 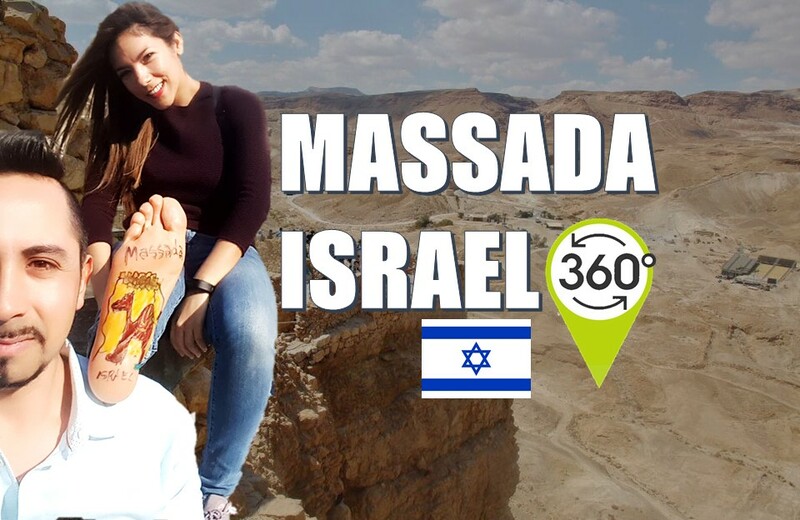 Mira a tu alrededor, porque esto es en 360. Según los investigadores, es aquí donde se piensa que se ubica la ciudad de la Atlántida. Hoy ya sumergida en el mar, destruida por la explosión del volcán hace 3.500 años. La mitología griega dice que la erupción fue provocada por Neptuno en una batalla contra la Diosa Atenea. Esta es la Iglesia Ortodoxa Sant George que es bien particular ya que se des enmarca de lo laberintico y estrecho que son los pasajes de la ciudad de Oía, dejando un amplio y ortogonal atrio donde remata la calle principal. En la antigüedad, debido a los problemas de sequía y dificultad para la agricultura en terrenos de tierra volcánica los habitantes de Oía debieron autoabastecerse, es por ello que molían diferentes especies, principalmente el trigo en estos antiguos molinos. El diseño urbanístico de la ciudad de Oia ha sido duramente criticado por los expertos debido a su desorden y laberíntica trama urbana. Pero para mí hay un claro orden que unifica toda la ciudad, que es su arquitectura, sus colores blancos y tonos pasteles y sus techos y marcos de puertas azules haciéndola una de las ciudades más bellas del mundo. Quisiera mandar un saludo a wendelyn cortes y a jose Zúñiga, que se han suscrito esta semana. Y ahora a ti, si te gusto el video dale me gusta y suscríbete a the patuo, tu canal de viajes 360. Hasta la próxima isla, chao amigos. Virtualizar sciance, es una aplicación de realidad aumentada y también es una aplicación de realidad virtual enfocada a la ciencia y tecnología, virtualizar sciance, descárgala ahora y explora la ciencia en ar y vr. 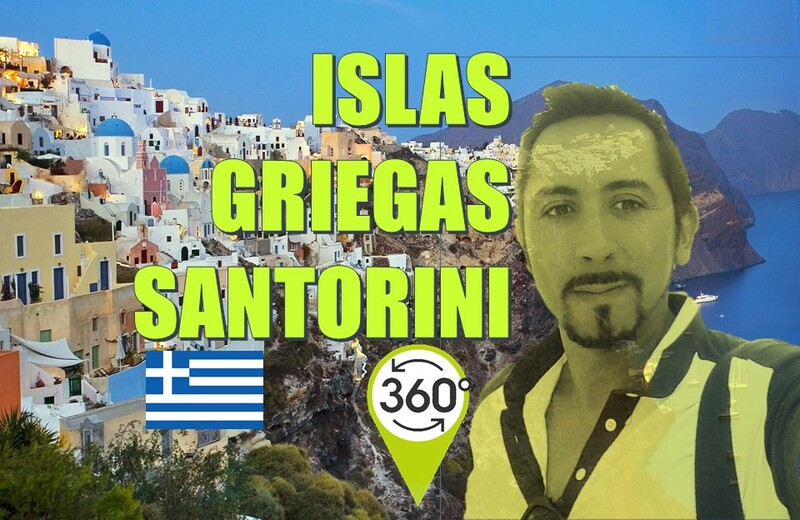 Sean todos bienvenidos a las Islas Griegas. 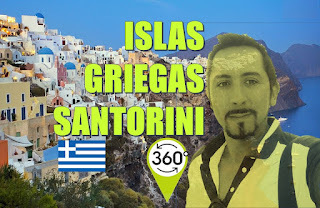 Hoy visitaremos Santorini, una de las islas mas bellas del mundo. ¿Ya estás listo? Mira a tu alrededor porque esto es The Patuo, tu canal de viajes 360. Santorini es parte de un archipiélago en forma circular que corresponde a un cráter de un volcán submarino lo cual le da una geografía única de farellones acantilados de 300 metros de altura en medio del mar mediterraneo. Santorini ha sido de Roma, Turquia y finalmente de Grecia. Los Venecianos encontraron tan bello el lugar que le pusieron el nombre de una de sus santos, le llamaron Santa Irene que con el tiempo llego a denominarse Santorini. Kim Jong Un Drunk Simulator. Es un nuevo simulador de realidad virtual desarrollado por Virtualizar. Descárgala ya y siente el poder de ser Kim Jong Un luego de beber algunas copas. La ciudad está emplazada en lo alto de un acantilado sometida a fuertes vientos. Lo más interesante es que sus construcciones se realizan dando semejanza a las piedras erosionadas por el viento evitando aristas, dejando así terminaciones redondeadas y techos curvos para suavizar el paso del viento. Predominando el color blanco y tonos pasteles con un estilo muy parecido a algunas ciudades de Túnez y Marruecos. 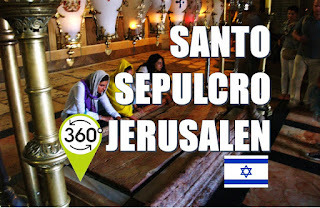 Las Iglesias ortodoxas se ubican en las partes mas altas de la ciudad caracterizándose por sus particulares techos cúpulas azules que sirven de orientación en medio de esta laberíntica ciudad. Quisiera mandar un saludo a Kleyton Champutis y a The Bella Karolina que se suscribieron esta semana a mi canal. 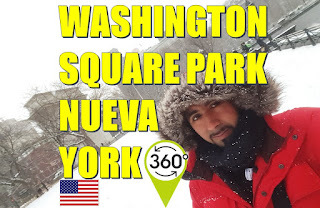 Ahora a ti gracias por ver este video, si te gusto, dale me gusta y suscríbete a mi canal The Patuo 360 y no olvides seguirme en Instagram, subo fotos de los viajes todos los días. Hasta el próximo weekend. Chao amigos. 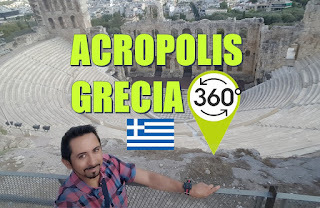 Hola amigos, bienvenidos a la parte mas alta de la Acropolis de Atenas en Grecia hoy en The Patuo recorreremos el Partenon. Ya estas listo? 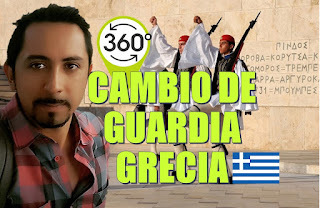 Mira a tu alrededor porque esto es en 360. Estamos frente al icono de la geometría y arquitectura, el Partenon. Esta emplazado en lo más alto de la Acropolis, fue construido en el 440 antes de Cristo en el gobierno de Pericles. Se construyo dedicado a la diosa Atenea en agradecimiento luego de vencer a los Persas. Es de mármol blanco y en su construcción participaron 500 personas aproximadamente. El Partenon ha tenido distintos usos a lo largo del tiempo, uso religioso por los griegos, ha sido mezquita para los musulmanes y bodega de pólvora por los turcos en tiempos de guerra. Under World Gods VR, es una aplicación de realidad virtual donde podrás explorar un mundo subterráneo de antiguos dioses. Advertencia esta aplicación no es apta para cardiacos. Descárgala ya y llévate un susto con Under World Gods VR. Lo mas interesante del diseño del Partenón es que logra dar una perfecta sensación de armonía que se consigue al considerar deformaciones en sus pilares y frontones que ROMPE LA antiestética que da la perspectiva del ojo humano, teniendo así una estética perfecta. Por nombrar un ejemplo los pilares se inician con un diámetro en su base y arriba terminan con un diámetro mucho mayor. Quisiera mandar un saludo a Gohand 49 y a Elías Alex que se suscribieron esta semana a mi canal. Ahora a ti, gracias por ver este video, si te gusto dale me gusta y suscríbete a mi canal y que tengas un buen viaje, chao amigos. 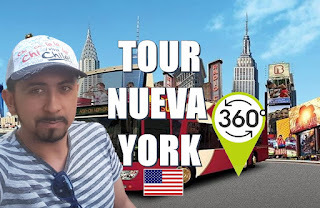 Hola amigos, bienvenidos a The Patuo el canal de viajes 360. 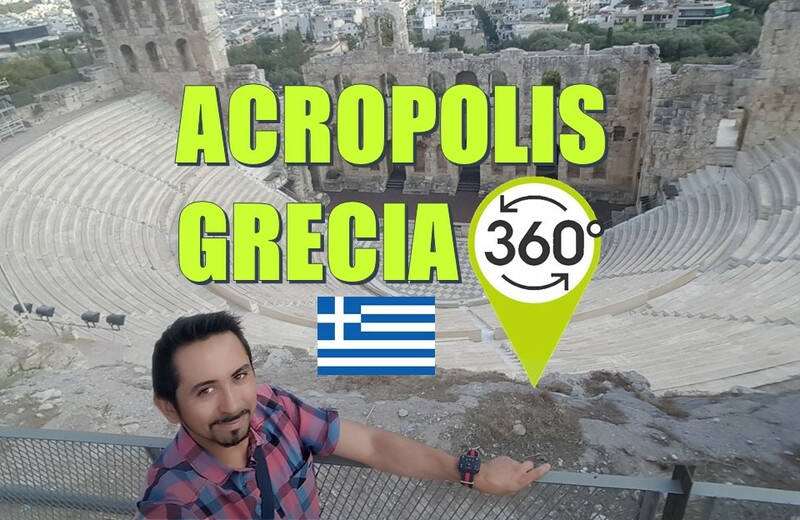 Hoy visitaremos la Acrópolis de Atenas en Grecia. Para disfrutar al máximo esta experiencia necesitas unos lentes de Realidad Virtual. El Odeón de Herodes Ático es un edificio anfiteatro para eventos musicales. Con un diseño de planta igual a los Romanos pero a mi parecer más inteligente ya que este esta emplazado sobre la pendiente aprovechándola para las gradas a diferencia de los teatros romanos que lo construyen en los terrenos planos. Su diseño original era cubierto. Hoy en día es un espacio vigente. Aquí se han realizado eventos como el Miss Universo, el concierto de Nana Mouskouri, de los tres Tenores entre otros. Entre estas escaleras de la Acrópolis es donde el reconocido filosofo Sócrates conversaba con los jóvenes. La Acrópolis vendría siendo como la universidad de Harvard de la época. Todos querían llegar a estudiar aquí. Virtualizar VR es una aplicación de realidad virtual que ya tiene mas de 500.000 descargas. Es un portal de diferentes experiencias y juegos de realidad virtual. Descárgala ya y continua divirtiéndote con Virtualizar VR. Aquí es donde se encontraba preso Sócrates al momento de su muerte luego de ser acusado de corromper a los jóvenes con pensamientos que los alejaba de las creencias de los dioses griegos, es por ello que fue condenado a muerte, y el asumió su culpa y bebió el veneno voluntariamente sin tristeza frente a sus seguidores demostrando así que a el no le preocupaba la muerte ya que solo volvía a su estado original perteneciente a un ser supremo. En esta enorme roca de mármol se emplazaba el consejo del Areópago, era un tribunal compuesto por la nobleza de Grecia. Es aquí donde llego el apóstol Pablo y sorprendido al ver la cantidad de ídolos que tenían, les predico su mensaje de cristianismo de tal manera que varios decidieron seguirlo incluso Dionisio el juez del tribunal. 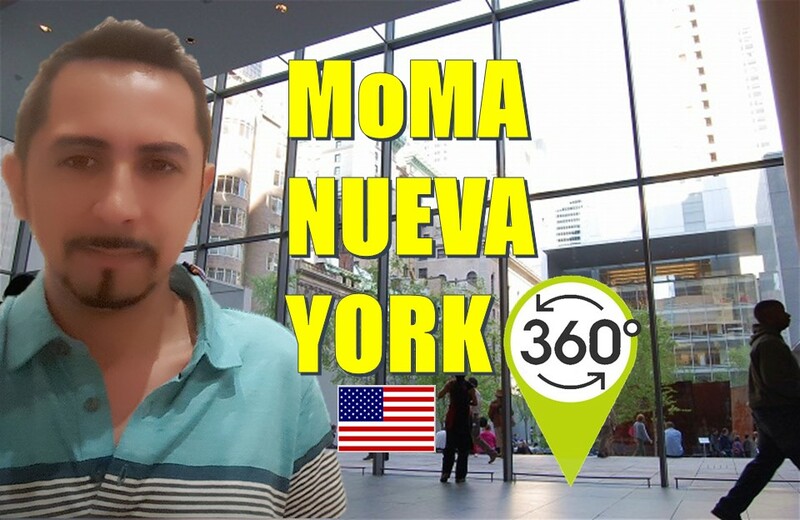 Hola amigos, bienvenidos a mi canal de viajes 360. 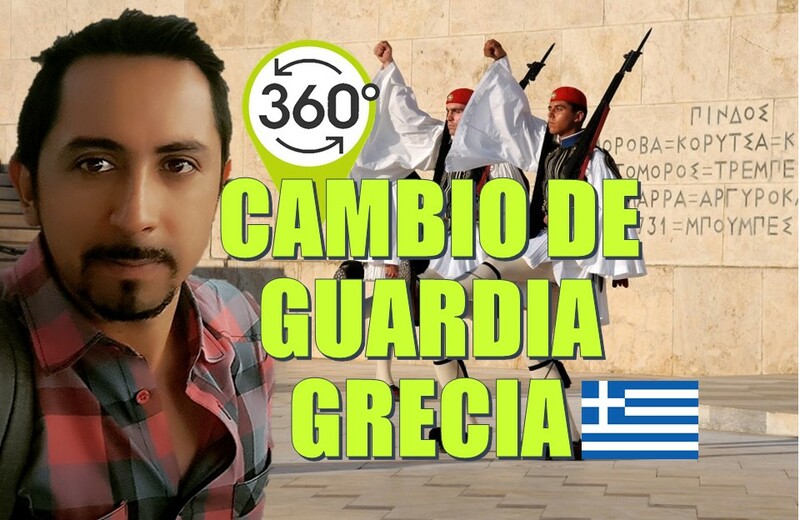 Hemos llegado a Atenas la capital de Grecia. Y hoy nos da la bienvenida con el cambio de guardia mas famoso del mundo frente a su parlamento. El edificio del parlamento sirvió originalmente como el palacio de la monarquia de grecia hasta 1924, luego sirvió como hospital y museo para finalmente en 1926 transformarse en sede del Parlamento Helénico. Maneja esta sofisticada arma laser desde la torre espacial. Disponible para ser usado con o sin lentes de realidad virtual. Space Turret VR desarrollado por Virtualizar. Descárgala ya por que la invasión alien is coming. La guardia Nacional llamada Evzones custodian continuamente delante de la tumba del soldado desconocido. Vestidos con sus famosos uniformes de falda y zuecos. Lo interesante es que la falda llamada fustanela tiene 400 pliegues, uno por cada año que los otomanos ocuparon Grecia. Los Evzones están obligados a estar totalmente quietos en todo momento. En el 2001 durante una manifestación una bomba molotov fue arrojada a una de las casetas de vigilancia la cual prendió en llamas sin embargo el Evzone permaneció en el lugar hasta que un oficial le dio la orden de avanzar con parte del uniforme ya quemado. Quisiera mandar un saludo a Eliana Quispe y a Andrea Arias que suscribieron a mi canal. Gracias por ver este video. Si te gusto dale me gusta y suscríbete a mi canal para continuar la aventura con The Patuo 360. Hasta la próxima. Bienvenidos a The Patuo el canal de viajes 360. 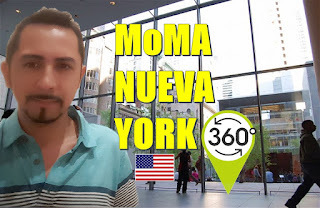 Hoy visitaremos el Museo de Arte Moderno de Nueva York mas conocido como MoMA. Para comenzar necesitas unos lentes de realidad Virtua; y suscribirte a mi canal. El MoMA fue rediseñado, el cual fue inagurado el 2004. Fue disenado por el Arquitecto Japones Yoshio Taniguchi el cual considero para su diseño las dos grandes misiones de este Museo que es uno mostrar obras de artes y dos educar al publico. Es por ello que el diseño dos alas, una de exiviciones y otra donde se trabaja en arte. Cada ala se mira una a la otra atraves del patio jardín. Aquí se encuentran reconocidas obras como La Noche Estrellada de Vicent Van Gogh, La Persistencia de La Memoria de Salvador Dali, conocida por sus particulares relojes derritiéndose. Y de Pablo Picasso se encuentra las señoritas de avignon y la Mujer ante un espejo. Lo mas interesante del MoMA es que en el 2012 se incluyen al Museo el código fuente del videojuego Pacman y del videojuego Tetris de los anos 80. Lo cual es un suceso trascendente en elmundo del arte y para los desarrolladores de videojuegos ya que finalmente son considerados obras de Arte. Quizas pronto veamos aca el código fuente del Call of Duty o del FIFA. Si te gustaría saber como es ganarse un premio Oscar ya lo puedes disfrutar desde Award Simulator VR realizado por Virtualizar. Vive la experiencia y congratulation por tu premio. Aquí te dejo el link de descarga. 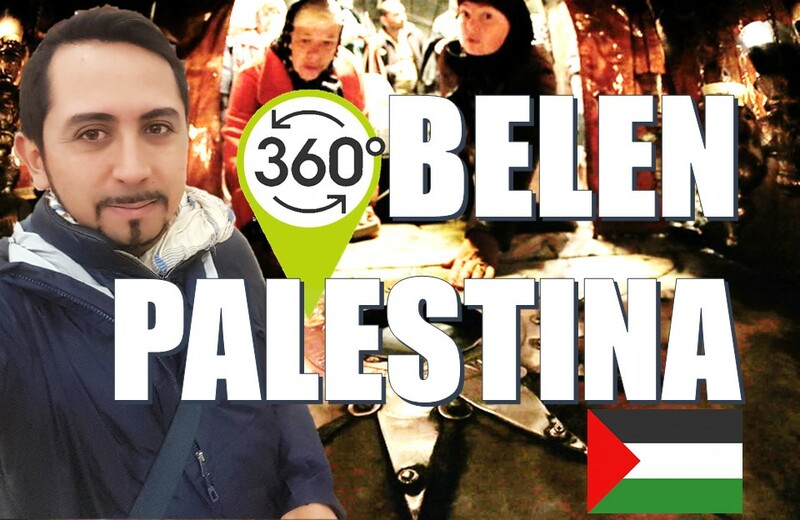 En este viaje a Palestina realmente era complicado grabar o tomar fotografías por respeto a su cultura, ya que son el 90% árabes, y tal como mis amigas árabes que tengo, jamás he podido publicar alguna foto o video de ellas, ya que si una mujer soltera es fotografiada y publicada ya no se podría casar. En respecto a eso no quise ofender a nadie con mi cámara. Visitar una de las ciudades más antiguas del mundo, la verdad no era como yo esperaba, la verdad por todos los conflictos territoriales que han tenido, es que las ciudades se han vuelto a levantar sin dejar mucha huella y se deja ver bastante pobreza. El sentimiento de estar en el ligar que marca nuestra era como es Belén, donde nació Jesús, y darte cuenta que los que viven ahí son musulmanes, y el nacimiento de Jesús lo toman como algo mas turístico ya que también trabajan en función de esto, te deja con ganas de querer saber que paso, en que momento sucede ese cambio en ese territorio. Por otra parte la iglesia Ortodoxa y la iglesia católica, siendo como religiones extranjeras, luchan por estar en el lugar del nacimiento de Jesús, posicionando sus templos uno al lado del otro. Donde el lugar más apreciado por los fieles está ubicado en un estrecho lugar que realmente esta muy lejano de ver una caverna que haya sido un establo o humilde pesebre con todo la ornamentación dorada y platinada que le ponen. El rio Jordán es un lugar donde se bautizó Jesús, es un lugar que se mantiene sin mucha intervención, y cumple tus expectativas de ver un lugar natural. Bueno además que el agua no era muy limpia que digamos. Si quieres ver el nuevo juego de Realidad Virtual de Virtualizar acá te dejo el link para que lo descargues. Gracias a los miles de reproducciones, a los cientos de “Me gusta”, a las decenas de veces compartido, en Facebook. La embajada de Francia me ha concedido la visa de larga estadía como artista. Sin ustedes los fans no podría haber hecho esto. Les prometo una segunda temporada llena de sorpresas y lugares únicos en el mundo que podrás vivir como si estuvieras ahí a través de la realidad virtual. Ahora amigos el desafío es expandirnos más allá de Facebook, es por eso que les pido que se suscribirse y compartan.